You'll be £12.00 closer to your next £10.00 credit when you purchase Gallantry and Discipline. What's this? 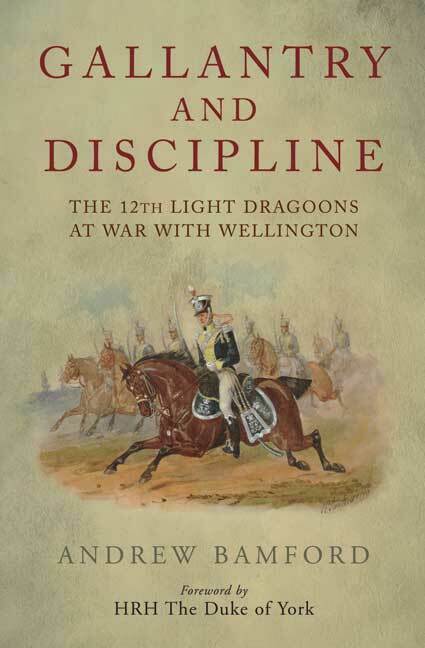 The 12th Light Dragoons served throughout Wellington's campaigns in the Peninsula, most notably at the Battle of Salamanca in 1812, and later at Waterloo where they suffered heavy casualties supporting the Union Brigade's famous charge. The principal source for this book are the papers of Sir James Steaurt – Colonel of the regiment for almost all of the period in question – supplemented by other regimental records, Horse Guards paperwork, and letters and memoirs, allowing both an official understanding of events, and several threads of human interest which develop through the narrative. The book is divided into two halves, first providing an overview of the regiment and the role of Steuart as Colonel, before moving onto an account of the regiment on home service during the early years of the Napoleonic Wars and then on active service in the Peninsular War and at Waterloo. This concludes with a discussion of the lessons learnt during the war, as particularly exemplified by the 12th being one of the regiments selected for conversion to lancers in the aftermath of Waterloo. Drawing on materials about the 12th Light Dragoons it is a very useful guide to the interior workings of any cavalry regiment during the Napoleonic Wars. A very rounded work and a very good read. This is a very engaging history of one of the most distinguished cavalry regiments in the British Army... A first rate history. The book is well illustrated and readers of the memoirs of British cavalrymen in the Peninsular and Waterloo campaigns, will derive a much greater understanding of the difficulties of maintaining a light cavalry regiment in the field from this volume. Bamford has produced an extremely well researched title of a high academic standard... Overall, the book deserves a five out of five star rating and earns a place on any home bookshelf. Gallantry and Discipline is a superb regimental history which covers a wide range of topics on the internal composition of the regiment and the 12th Light Dragoons in the Peninsular War and Waterloo. The author draws heavily on the correspondence of the Lieutenant Colonel Frederick Ponsonby and Lieutenant Vandeleur. It is a must read for the serious student of the Napoleonic Era!